Cyclists looking for a compact system to help them navigate city streets may be interested to know that the SmartHalo smart bike navigation system is now available to purchase directly from Apple and comes complete with its iOS companion application. The cycling navigation display provides visual prompts as you become closer to your next turning, enabling you to keep your eyes on the road and concentrate on your surroundings rather than your smartphone screen when travelling through cities and traffic. – Get turn-by-turn or compass-style navigation displayed through an intuitive halo of light. – When the sun sets, SmartHalo’s light turns on automatically. When your ride is finished, it shuts down on its own. 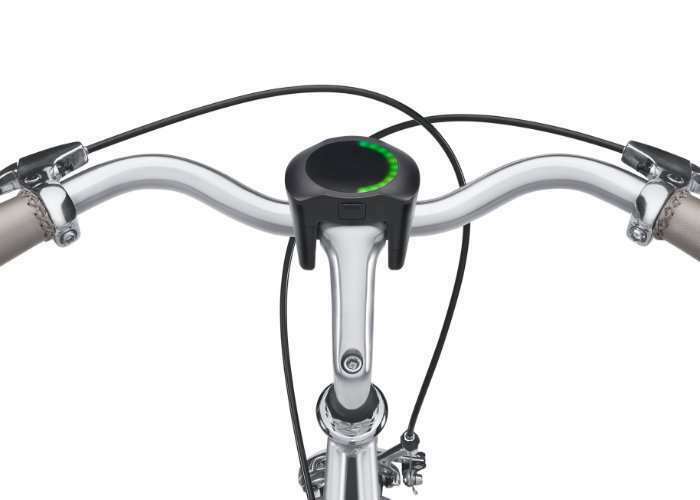 – Protect your bike from thieves with an alarm that triggers when SmartHalo senses tampering. – Get fit with a fitness tracker that starts and stops automatically. Set goals and see your progress in real time on your handlebar. – Never miss calls thanks to notifications right on your device. The SmartHalo is now available to purchase directly from online Apple stores priced at $150 with free shipping available.